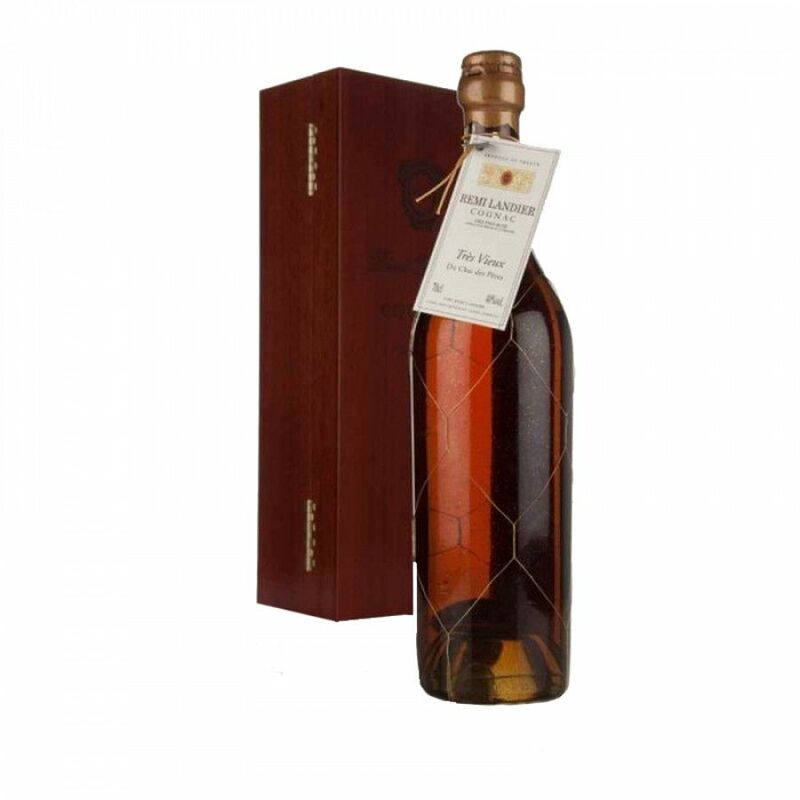 The Remi Landier Tres Vieux Fins Bois Cognac is, as the name suggests, made purely from grapes grown in the uniqe soils of the Fins Bois terroir. The eaux-de-vie contained within this cognac were distilled by Remi Landier himself over four decades ago. Allowed to gently age, this is a cognac that's been produced in the finest traditions of the region. It's a delightful cognac - rich and elegant, with all the attributes of a cognac from this terroir. In addition, it has the unique touch of everything that makes the house of Remi Landier stand out as master's of their trade. When Remi harvested these unique grapes over 4 years ago, it was a particularly difficult harvest. Only a small amount of eaux-de-vie was produced that year, and he wisely kept some of the product back, saving it for a special cognac such as this one. It was only three years ago that his sones, Alain and Jean-Yves, decided the cognac was ready to bottle. Since then, a limited number are created and put up for sale. It's certainly a cognac for the connoisuer - a true delight.